A new baby is incredibly exciting! There is so much joy for a new family and such promise for the future. How do you welcome a baby? At More Than Paper, we have great ways to welcome baby. Any new mom quickly learns that to determine her baby's schedule, she needs to keep careful records of what the baby is doing. Writing everything down becomes your guide for the future. For this reason, this helpful organizer by Robin Maguire for Chatsworth lets Mom (and Dad) keep careful track of bottle or breast feeding, diaper changes, nap time, awake time, and helps document milestones which can be transferred to a baby book later. Specify a single line of text on the top. You get two 8.5 x 11" pads, each with 30 personalized sheets, all for $39.00. Specify your text color and choose your typesetting to further personalize this gift. An organized mom is a happy mom, and we think any parent will find this baby organizer useful in the first few months of life. 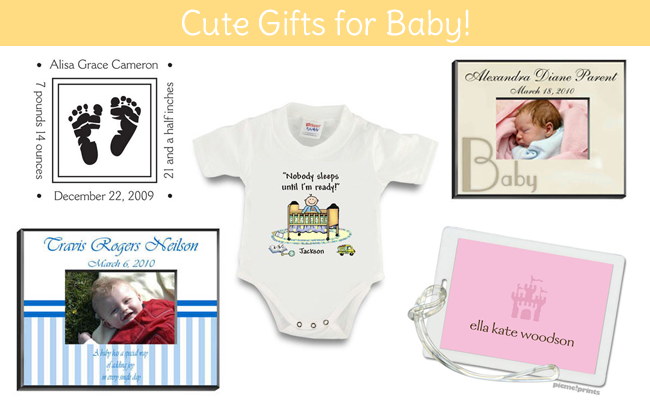 What are your favorite gifts for baby or mom? Share them with us here or on our Facebook page!